“Orishiki” is a hybrid word composed of “Ori ”, taken f rom Origami, Japanese paper-folding art, and “Shiki ” taken f rom Furoshiki, Japanese traditional wrapping cloth which is large enough to wrap and transport goods and gifts, as well as wearing them as scarves. “ORISHIKI” is a new carrying device consisting of a single piece of two dimensional structure, constructed of triangular segments which can be folded like origami, and can wrap things like furoshiki. 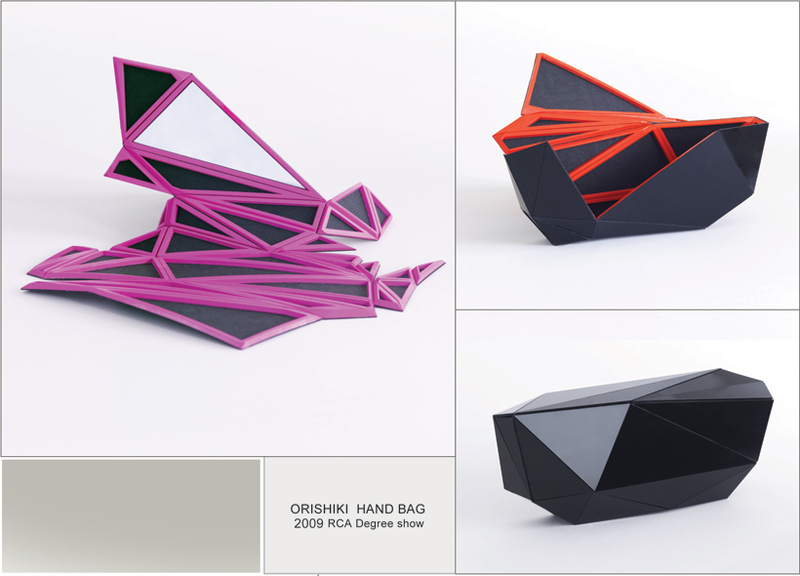 The geometric bag is not only idiosyncratic in its appearance but also in its highly speacialized production process. 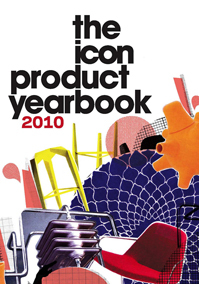 The unique process can be applied to just about any productions without losing its unique product identity. 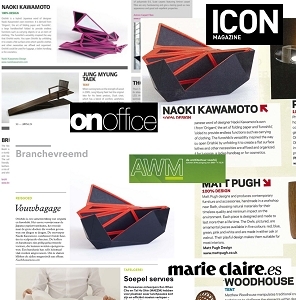 2009 RCA Degree show !! 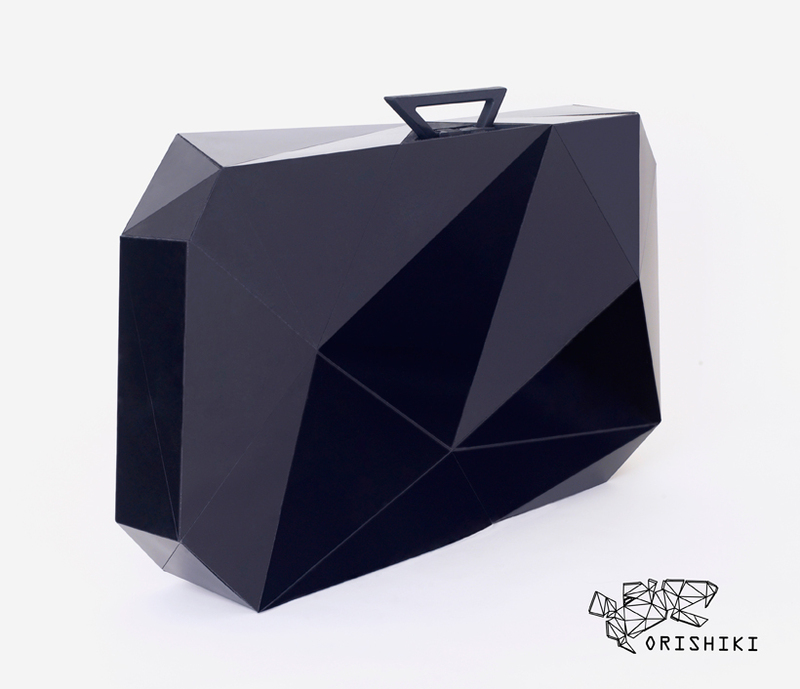 !NEW ORISHIKI PRODUCT HAND BAG!! 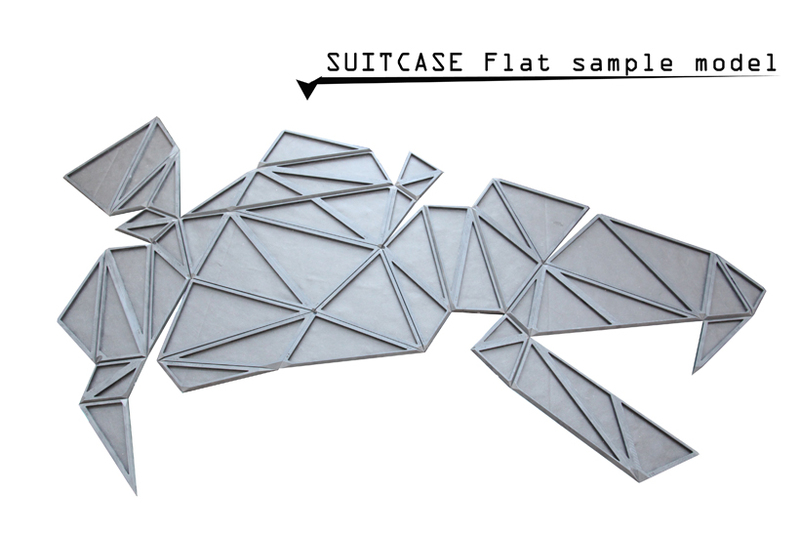 There is big possibility of many way to use the system on many different type of luggage in the future. 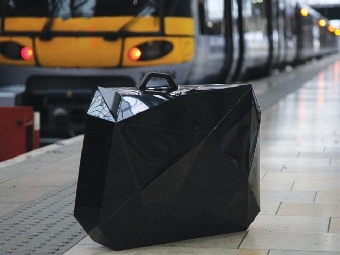 With Orishiki, you don’t need to pack and unpack, because you have a nomadic piece of interior architecture that allows you to carry a patch of your own habitat anywhere. 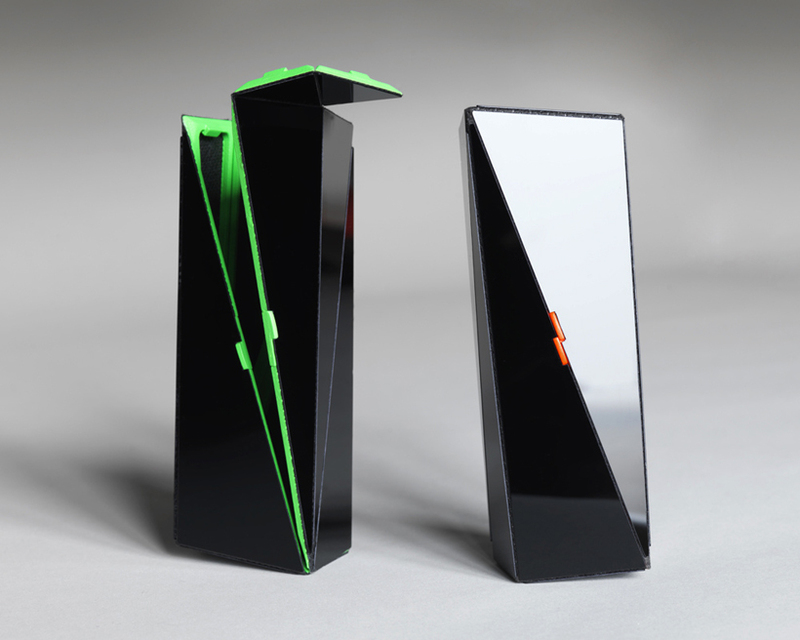 Orishiki is a wheeling case with a hard, faceted shell. Sleek, functional, and anonymous, the exterior allows it to pass through the hubbub of global cities while protecting and concealing the interior: a sculpturally personalized, soft layer of exquisitely patterned silk. At home or in a hotel room, you open Orishiki by unfolding a continuous surface onto which specific clothes and other necessities are affixed and organized to create a rich and textured modular wall tapestry. When your stay is over, you don’t “pack,” but simply fold up the wall tapestry and your vessel is ready for the voyage. Conceptually, Orishiki is about transporting a slice of home to an alien environment: superimposing familiarity onto foreignness. I do not have budget, knowledge (more professional about luggage) for developing and mass production capacity. I need strong adviser and supporter who are working at some luggage company or exact some company. How am I able to guard the unique design. 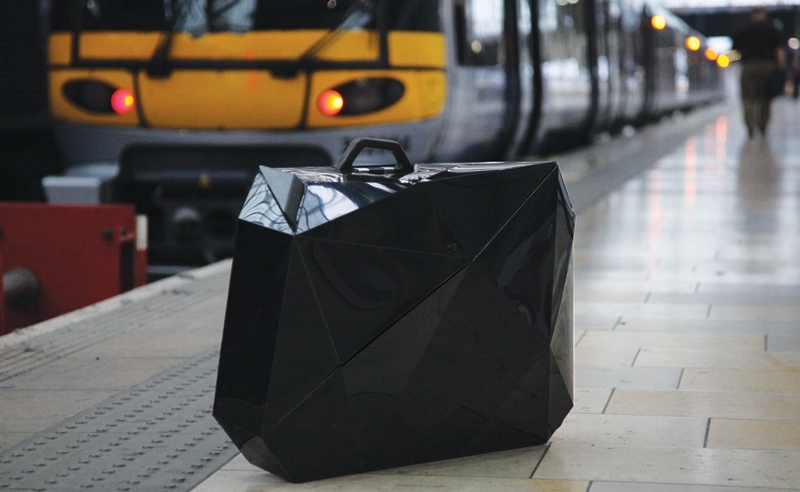 Orshiki is a superior alternative to the traditional suitcase, not only due to its multi-functionality (traveling vessel and furniture) but because it gives the user the opportunity to express their personality in an unfamiliar place, making them feel more at home. Furthermore Orishiki is a beautiful and desirable object. Its construction out of shiny triangular facets means that Orishiki becomes an arrangement of mirrors which scintillate as it moves, to create a curious and engaging metaphor for travel. Business people tend to travel light, carrying just a few choice items. They don’t see travel as a pleasure or privilege, but an obligation, and sometimes a burden. They need products not only to adapt to mobility, but to enjoy it. There are many suit case brands such as Samsonite, Rimowa, Zero Halliburton, Tumi. Those companys make hiend suite case which expencive and high quality. My target market is there, and some one can be my collaborater. I tested many material for the system. The most important material choice for Orishiki is polypropylene for the hinge, because it is strong, flexible and hardwearing. 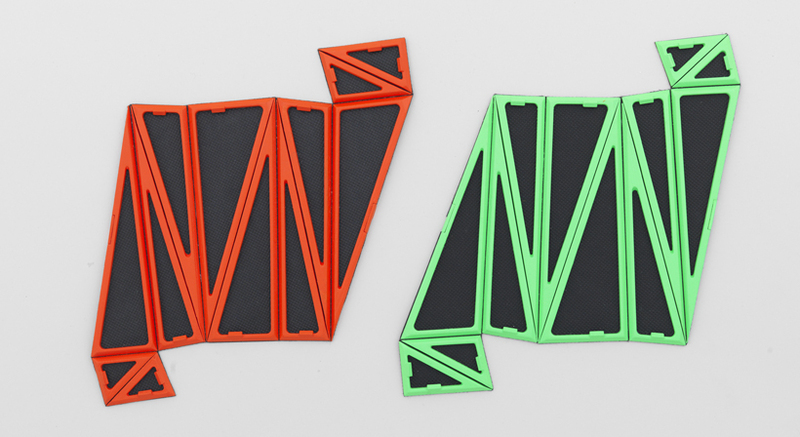 Polypropylene is an optimal plastic for hinges, as it creates a seamlessly jointed, surface. At last I decided to use polypropylene cloth on the ground and put the cloth put between resin (ABS) and resin. A set of big mould make big net of the luggage. 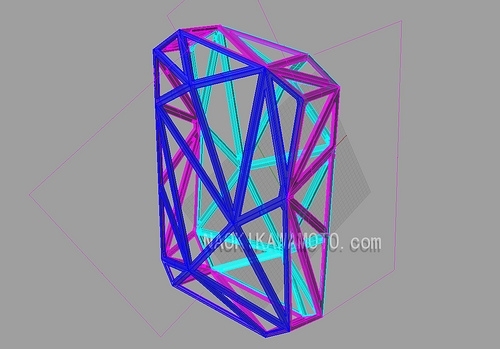 At same time the mould produce almost every structure. Then, some other parts stick on the net (core). will apply the principle of Orishiki to smaller pieces of luggage and even accessories such women’s handbags. 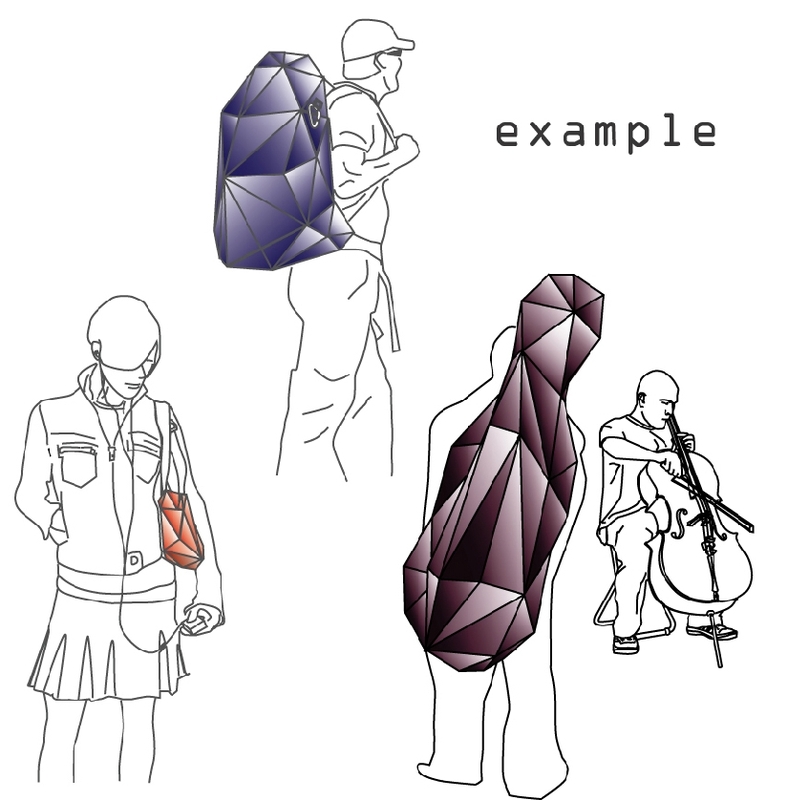 There is also the possibility to have Orishiki multiply into smaller bags, by having groups of facets that can be detached and folded. Another direction will be to research different professions and occupations such as a photographer, climber, hairdresser, et cetera, and develop Orishiki so that it provides bespoke solutions for different purposes. NaokiKawamoto.com since 2008-10-10 / Copyright 2008- 2010 Naoki Kawamoto. All Rights Reserved. NaokiKawamoto.com since 2008-10-10 / Copyright 2008 - 2010 Naoki Kawamoto. All Rights Reserved.